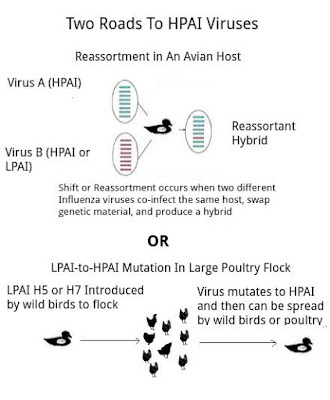 While LPAI (low path avian influenza) viruses are often carried by wild birds, and (generally) pose little direct threat to poultry or humans, they carry with them one overriding concern; H5 and H7 subtypes have a habit of mutating into far more dangerous HPAI (high path) viruses when allowed to spread in poultry. Frequently discussed in this blog, this LPAI-to-HPAI mutation was recently the subject of a study (see Frontiers Vet. Sci. 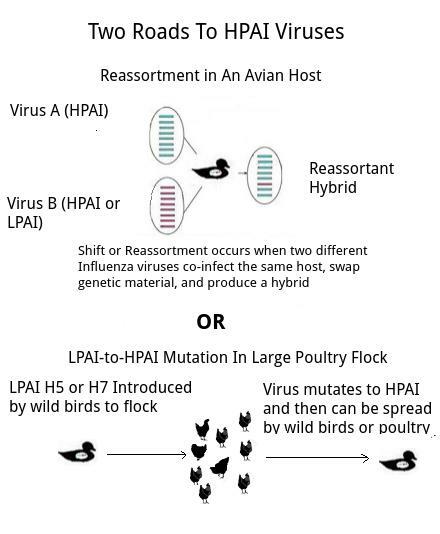 : Patterns In the Emergences Of HPAI H5 & H7 Viruses In Poultry) that examined both mutation and reassortment in the generation of HPAI viruses. Although spontaneous mutation from LPAI-to-HPAI doesn't happen all that often, the risk is considered great enough that all LPAI H5 and H7 outbreaks must be reported to the OIE, and immediate steps must be taken to contain and eradicate the virus. Which brings us to a report overnight from Denmark's DVFA (The Danish Veterinary and Food Administration) ordering the depopulation of 20,000 ducks near Holstebro after routine surveillance detected LPAI H5. 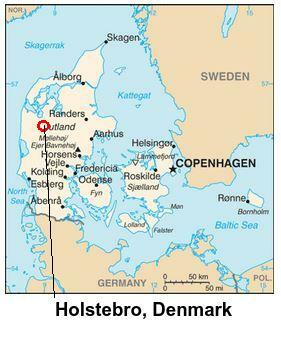 DVFA in its routine surveillance found low pathogenic bird flu in a duck herd near Holstebro. The crew of a total of 20,000 ducks must now be killed. Food Administration have found so-called low pathogenic avian influenza in a poultry Vinderup near Holstebro with more than 20,000 ducks. The entire crew will now be sacrificed. In the case of low pathogenic avian influenza subtype H5. Low pathogenic means that it is mild compared to highly pathogenic types. Most birds do not die of low pathogenic avian flu, but they can infect other birds, and the disease can change into the highly pathogenic form, which has a mortality rate of up to 100 percent. Deputy manager and veterinarian DVFA Stig Mellergaard says that the infected birds have not shown signs of the disease. The disease was found by Food Administration routine monitoring program. "It is important that we find affected birds. Even if they do not show signs of disease. That way we can take our precautions and ensure that as few birds as possible to become infected and we can slow the disease before any developer and become highly pathogenic, "says Stig Mellergaard. Besides killing there will also set up a zone of special restrictions of one kilometer around the herd. There is no other professional poultry farms in the zone, so the tighter rules will only affect hobby owners. The rules include that poultry and their eggs shall not be moved out of the zone for 21 days. Poultry in the zone are allowed to be outdoors. Food Administration informs the export markets of disease outbreak and will be in close contact with relevant foreign authorities about the situation.